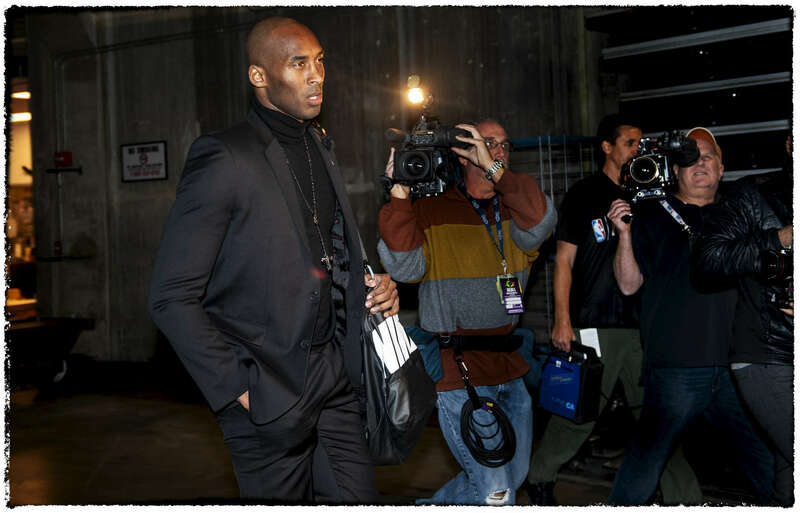 "The Return" Kobe returns to the Lakers after the long rehab from his ankle injury. The focus from Kobe is like nothing else. And he lives in that space for long periods of time. His expression is walking into the building is the exact same in the next images.